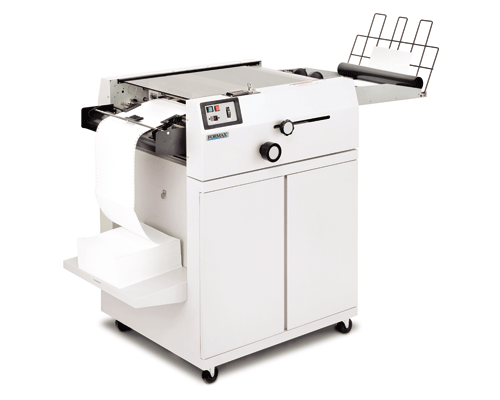 This low-volume burster offers industrial quality at an economical price. The FD 550 processes bursting jobs at speeds of 0-200 feet per minute. Standard features include tractor feed, slitters, safety interlocks, a conveyor unit and a cabinet. A power drop-stacker can be added to enhance productivity. This low-volume unit is capable of operating 5 hours a day, 5 days a week. Many of the standard features offered in the higher end models are available as options to meet any need or application.